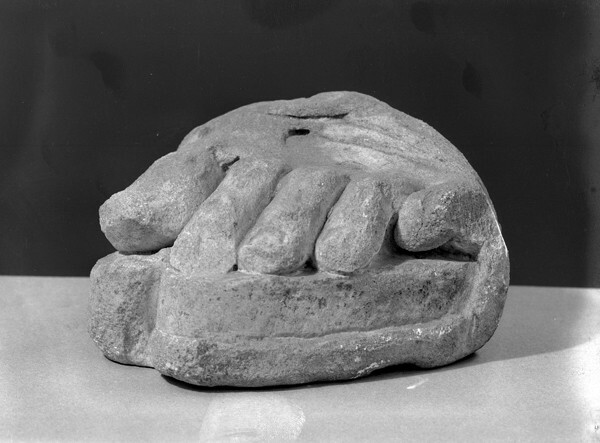 A section of a Roman sandalled left foot, of colossal size with the remains of a strap between the first and second toes. There are beginnings of drapery in two folded edges across the top, just behind the toes. The thick double-soles of the sandals are cut to follow the contour of the toes.